Robert Kirkman has been giving us thrills with The Walking Dead since 2003. For over 12 years we have enjoyed reading about the adventures of Rick and company, yet somehow the title has remained fresh. 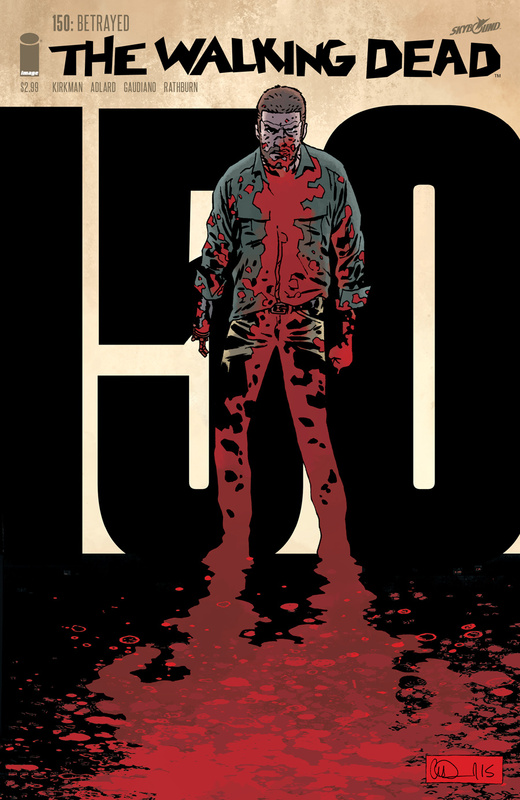 This week we celebrate the 150th issue of the groundbreaking title, and Kirkman has promised us in the past that the story is planned out for at least 50 more issues. 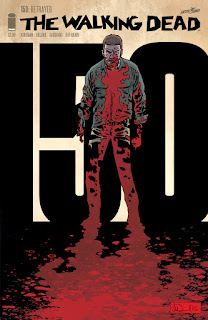 As a fan of the series, I look forward to where the next 50 issues will take us, but fear that Negan is going to play a major role in shaping the upcoming story. The Walking Dead #150 - It is hard to imagine that this series has reached its 150th issue. It has had its share of ups and downs, but if this comic is an indication the series is in an upward trend. I thought that Robert Kirkman has shown me all there is about Rick Grimes, but I was mistaken. The Rick that we see in this issue is a return to his days as an unquestioned leader. Thanks to the whispers in his ears from Negan, Rick has proven that he isn't soft and that he is ready to lead his group and take down the newest threat. I fear for the new Rick. I fear for anyone who heeds Negan's advice. I am afraid. 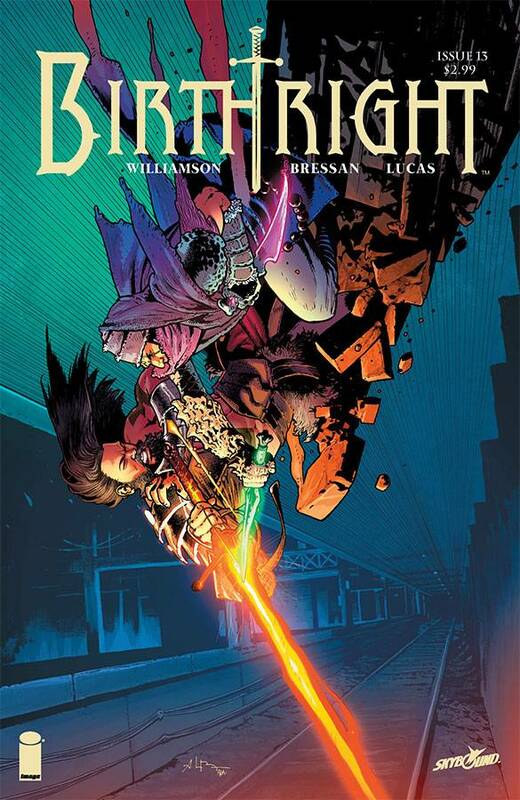 Birthright #13 - Sameal is not one to mess with. Joshua Williamson treats us to an epic battle as Mikey attempts to kill all of the mages who have fled to earth. In the last issue we were warned of how deadly Sameal is, but to see it on the pages was a joy. Sameal's hesitation to kill Mikey and the Nevermind when given the change leads me to believe that there is hope of his redemption. Meanwhile, Mikey's dad is officially bait and his mom has paired up with his pregnant girlfriend in an attempt to track him down. Oh the drama! 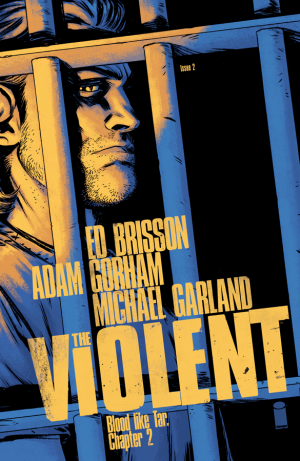 The Violent #2 - Things go from bad to worse for Mr. Turner. When we last saw him, he left his daughter in the car to pick up a friend at the bar. While his intentions were good, the optics were not. He ended up getting busted by the police and has now had his daughter taken away. To make matters even worse, his wife is missing and the police suspect he had something to do with it. With nothing to lose, Turner turns to the one thing he knows well, violence. In an aptly named comic, The Violent lives up to its name as Turner attempts to piece things together. If you are looking for mystery noir, look no further than this title. Captain America #5 - I continue to enjoy Nick Spencer's take on the new Captain America and the political undertones of the villains. It seems like the Serpent Squad spends a lot of time watching Fox News and may end up in Oregon in an upcoming issue. 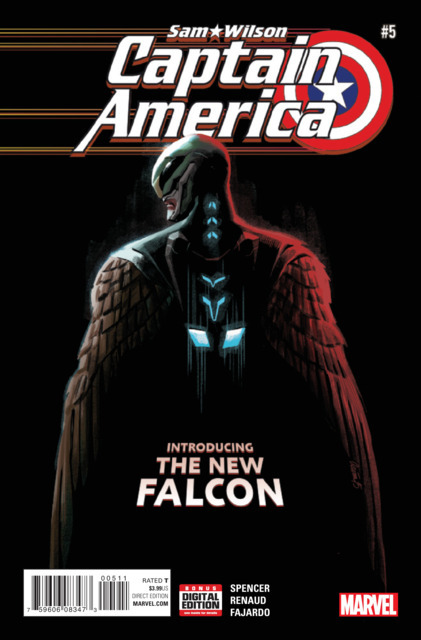 The latest issue introduces us to the new Falcon, who sports real wings as the result of forced genetic experimentation. The new Falcon is a little rough around the edges, and I look forward to seeing this new duo in action.